Chutzpah comes from the hebrew word meaning audacity. 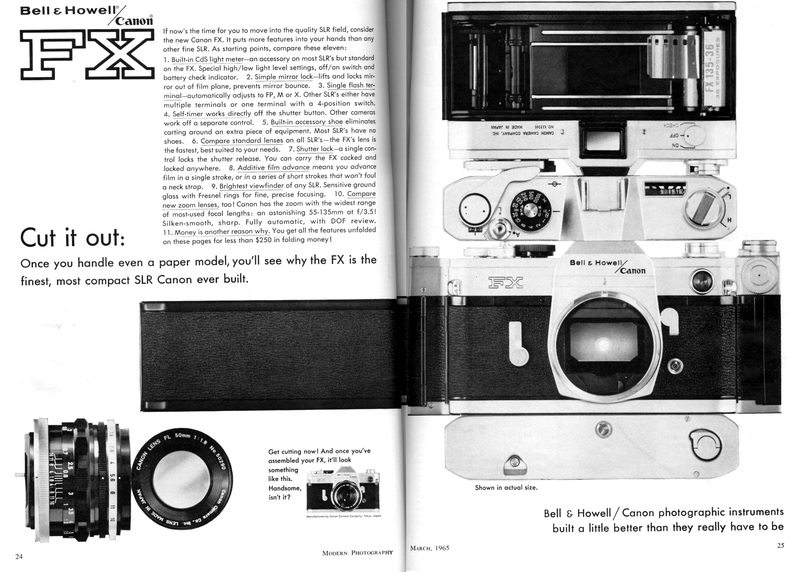 At first I thought this was a ridiculous ad, but now I think it's chutzpah: the idea that a grown man would razor two pages out of a magazine, then cut and fold together a paper camera. But the cut-out is supposed to be full-size, and gives you can idea of compact it is. 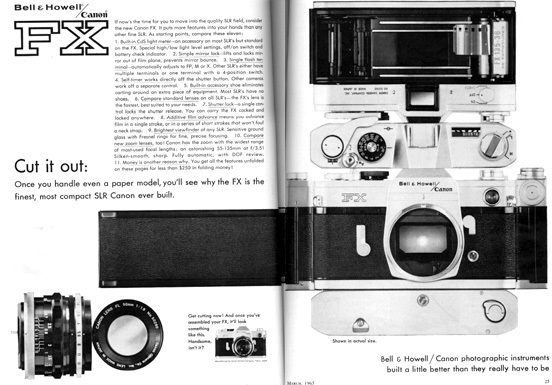 I've got a Canon FX, and I can promise you that even if the size is right—the real one weighs a lot more than this paper model will.